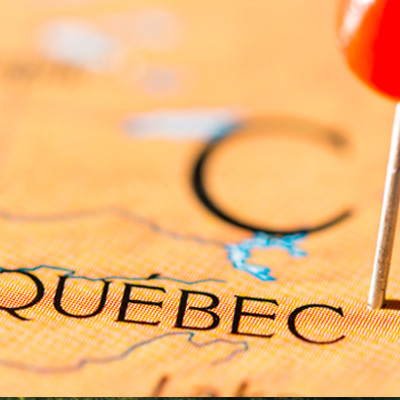 From May 29, 2017, the popular Quebec Immigrant Investor Program (QIIP) will reopen for up to 1,900 new applications hoping to migrate to Canada. Discover if you qualify by checking out the new requirements before it closes. As of May 29, 2017, the popular Quebec Immigrant Investor Program (QIIP) will reopen for up to 1,900 new applications. The QIIP is currently Canada’s only available passive investor immigration program, and throughout the years has proven popular. Due to its increasing popularity, the intake limit is expected to be filled up before the scheduled end date of the application cycle, on February 23, 2018. Up to a maximum of 1,330 applications may be accepted for processing from nationals of the People’s Republic of China, including the special administrative regions of Hong Kong and Macao. Although French proficiency is not required, applicants who have at least an “advanced intermediate” level of French proficiency, as demonstrated by a standardized test, are not subject to the intake cap. In addition to that, their applications will be given priority processing. To qualify as an investor, an individual must have a net worth of at least $ 1.6 million CAD, have managerial experience and be willing to make a government secure investment of CAD$800, 000 for a period of 5 years. All the Quebec Immigrant Investor Program (QIIP) requirements are as follows. Minimum net worth A minimum of CAD$1.6 million in legally acquired net worth, alone or with the help of their spouse or common-law partner if accompanying the applicant. Assets such as property, bank accounts, pension funds, stocks, and shares may be included. Business or Management Experience A minimum of two years of management experience (planning, supervision and control of the financial and the human or physical resources) over the course of five years prior to the submission of the candidate's application in a specific enterprise (agricultural, commercial, or industrial, OR management experience in a governmental or international organization) and in a position defined as full time. The company must have a minimum of two full-time employees. It does not necessarily have to be profitable. It can also be an international agency, department or government agency. Investment Agreement to invest the sum of CAD$800,000 through an approved financial intermediary (this investment can be financed). Miscellaneous Successful medical examination and security background check. Click here, for more information about Quebec. The latest Express Entry draw brings the total number of Invitations to Apply for Canadian permanent residence to 14,500 in 2019 so far.